Guillermo Barros Schelotto's first Primera Division match as Boca Juniors coach ended in a 0-0 draw in the Superclasico against arch-rivals River Plate at El Monumental. Barros Schelotto replaced Rodolfo Arruabarrena, who led the club to a double last season, at the Boca helm this week and followed up a goalless draw against Racing Club in the Copa Libertadores on Thursday with a derby tie. After a pre-season meeting between the pair in the Torneos de Verano resulted in five red cards, captains Daniel 'Cata' Diaz and Marcelo Barovero posed behind a 'clasicos or peace' banner and conducted a ceremonial planting of a tree together. There were still the trademark signs of fireworks on the pitch, though, and the first chance fell to Gabriel Mercado, who volleyed wide from inside the six-yard box after Ignacio Fernandez's free-kick delivery. River continued to put Boca under pressure and a quick throw-in created a chance for Leonardo Ponzio just before the half-hour mark, but he could only steer Sebastian Driussi's knockdown into the arms of Agustin Orion. Marcelo Gallardo's team continued to edge closer to an opener, Rodrigo Mora hitting the upright six minutes prior to the interval. 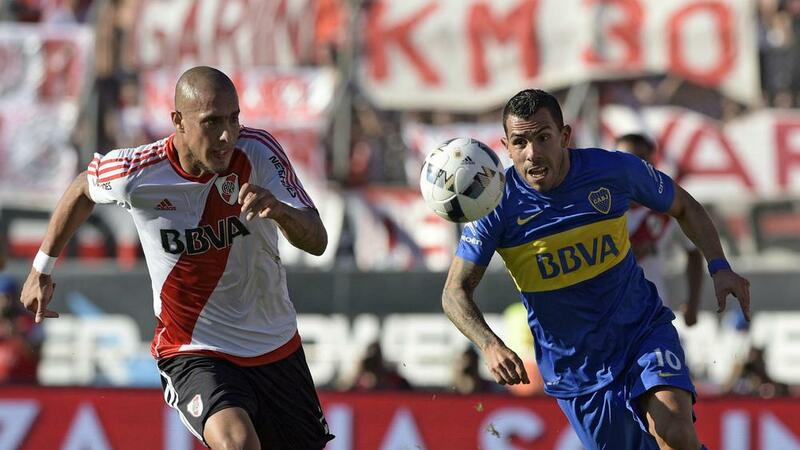 Carlos Tevez missed two second-half chances to win it for Boca, while a poor first touch cost Mora the chance to steal all three points for River eight minutes before full-time. Barros Schelotto's side remain sixth in Group B, while Gallardo's side join Independiente on eight points in Group A.